Ice marathons in the Antarctic. UNESCO-site tours in Croatia. 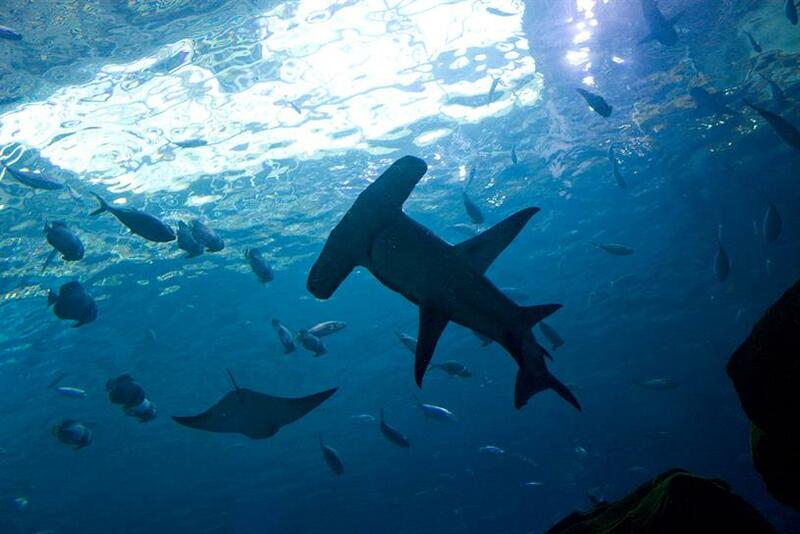 Swimming with hammerhead sharks. Today’s rich would rather spend their energy and money doing things than acquiring them. This "being" versus "having" MO firmly places modern luxury in the domain of identity. Things we do shape who we are, the lifestyle we lead and the choices we make. They are our personal Weltanschauung. Luxury consumption moves from opulent to meaningful. According to 2014 BCG report, $460 billion was spent on unique travel adventures, compared to $170 billion spent on personal luxury goods. Hunting for a unique experience makes us unique, much more than owning material goods does. Traditional luxury goods may be reflections of our identity, but experiential luxury purchases are our identity. Psychology is firmly on the side of modern riches. Not only does experience bring humans more happiness than possessions, research claims, but it also makes others more interested in what we have to say. Simply, our friends would rather hear about that ice marathon we ran than about yet another pair of Louboutins we bought. Luxury’s shift to experiences as a domain of personal identity, cultural capital and social currency hasn’t gone unnoticed. Smart brands have been quick to claim a spot in the luxury sector that is now diversified beyond fashion, watches or jewelry. Ten thousand-dollar bicycles are all the rage among the affluent of the West Coast, just like SoulCycle is on the East Coast. Wellness and healthy lifestyle belong to the new luxury, along with the small joys and treats like enjoying a cup of a really delicious coffee. Recent NYT article ventured further, claiming that silence is the ultimate luxury, something that a lot of us can agree with. "Luxury is anything that feels special," says Aerin Lauder, a businesswoman and Estée’s granddaughter. "It can be a moment, it can be a walk on the beach, it could be a kiss from your child, or it could be a beautiful picture frame, a special fragrance. I think that luxury doesn’t necessarily have to mean expensive." This relentless pursuit of the personal quality of life is about individuality. Think collaborations between Neil Young and Supreme, Joni Mitchel and Saint Laurent or Joan Didion and Celine. Both Didion and Celine are acquired tastes, aimed at those in the know. Celine’s and Didion’s collaboration unmistakably conveys identity of not only Celine (and Didion, for that matter), but of those who choose to buy — literally — that point of view. Identity is what distinguishes the marketing of luxury brands versus the marketing of premium and mass brands. Instead of comparing themselves with competitors and touting their advantages over them, best luxury marketing revolves around the particular experience that brings brand identity to life. This experience is sometimes forged around the company’s founder, as is the case with Chanel. Other times, it is expressed via brand beliefs, as is the case with Louis Vuitton’s art collaborations with Murakami, the Coppolas and its recent Series venture. Retail experience often successfully expresses brand identity as well. A flagship, like Burberry’s, Apple’s or Warby Parker’s, becomes a tangible expression of the things a brand stands for and creates consumption ritual, which enforces cultural identity of both the brand and its consumers. Luxury brands have for too long operated as predominantly commercial entities, fiercely focused on their own efficiency, cost-cutting and bottom line. This business strategy made a lot of them neglect who they are, what they stand for and the role they play in culture. It also made them nearly indistinguishable from one another. Today, with experiential luxury sector consistently outperforming any of the other sector of luxury goods, luxury brands are challenged to become purveyors of self-expression and lifestyle. They can’t compete based on their product offerings alone. This is even truer knowing that luxury consumers today are faced with a supermarket of choices, diffuse information and the fact that a quick Google search turns luxury into commodity. Modern luxury is rife with complexity. This complexity comes from the increasingly experiential nature of luxury consumption, from the runway (think the Zoolander cameo at the recent Maison Valentino show in Paris) to retail stores. Experiences are interlinked with identity, self-expression and lifestyle. To win through experience, modern luxury brands need to successfully manage all of them. Is print the secret weapon for luxury brands?